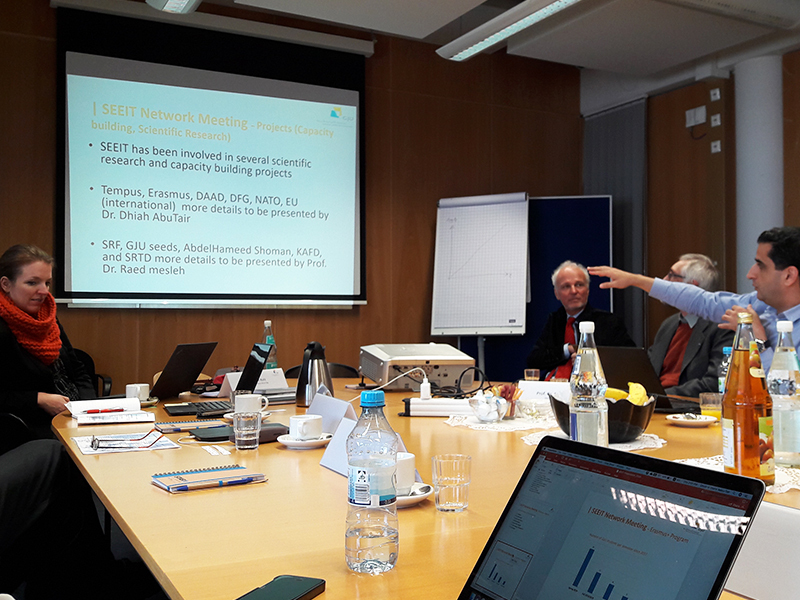 On the 8th and 9th November 2018, the School of Electrical Engineering & IT (SEEIT), met at Hochschule Bonn Rhein-Sieg to hold its annual network meeting in Germany. 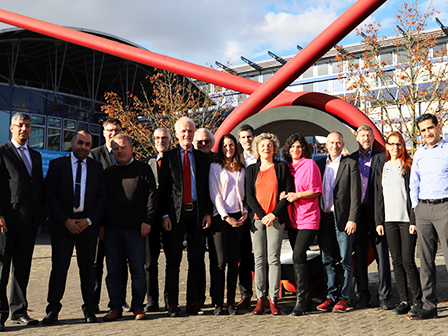 Professors and representatives of international offices from several German partner universities such as HS Fulda, TH Deggendorf, EAH Jena, HS Bremen, TH Brandenburg, HS Darmstadt, HS Trier and Universitaet Siegen attended the meeting in order to discuss student mobility and research projects. 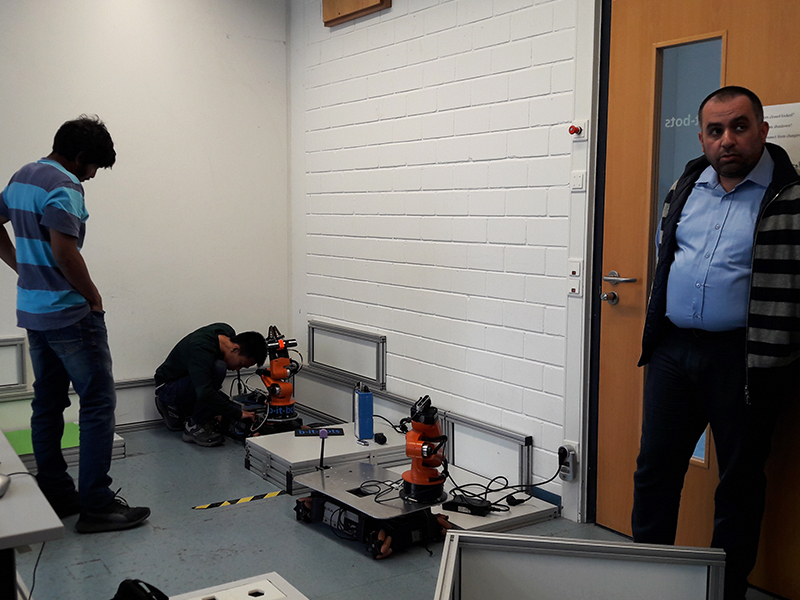 Together with Hochschule Bonn Rhein-Sieg the School of Electrical Engineering & IT (SEEIT) is applying for the DAAD call Mobility and Capacity Building (transformation line 1). Prof. Sahel Alawneh, Prof. Raed Mesleh, and Dr. Dhiah Abu Tair, as well as the German network head Prof. Rainer Herpers, were very contented with the result-driven discussions and the output of the meeting. Also, two GJU students, Mohammad Hababeh and Abdel Hadi Abdel Hadi joined the group discussion with professors and contributed by sharing their experiences during their German Year. The stimulating atmosphere of fruitful exchange also motivated other partner university representatives to start research projects together. Hochschule Fulda, Prof. Paul Grimm, and Prof. Frank Klingert e.g. 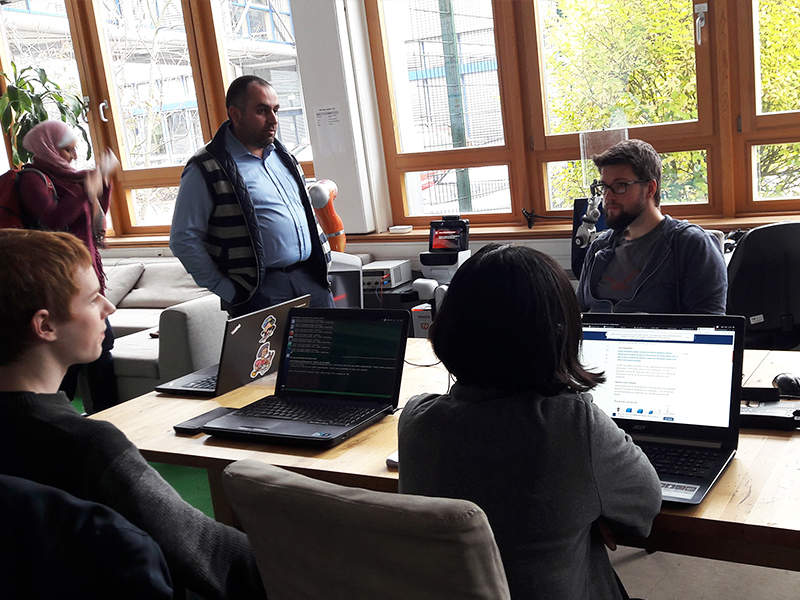 decided to jointly participate with SEEIT in the DAAD KA107 call (Mobility with partner countries). Prof. Erbs from Hochschule Darmstadt is planning to offer an E-Learning course NoSQL-Databases at GJU in 2019. As a result from last year’s network meeting Prof. Schneider from Hochschule Trier successfully acquired Erasmus funding which enables him to come to GJU next year and provide students with specific lectures, block seminars and workshops in close collaboration with his fellow professors and friends at SEEIT. The network members decided to meet next year in Bremen.